Custom Pistol Barrels | Jarvis, Inc.
You know why you’re here. 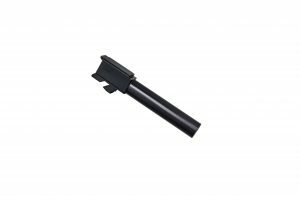 Whether you are looking to increase accuracy, attaching a suppressor or comp, or simply want an upgrade; you need a barrel. Before you go anywhere, let us take a moment and tell you who we are and why we have been an industry leader in pistol and rifle barrels for almost 40 years. Founded by Bill Jarvis in the late 1970’s, Jarvis Gunsmithing Inc was started with the singular purpose of creating the best barrels available. We quickly became known for industry leading accuracy after our 38 Super barrels were used by John Pride to win the 94 and 95 Bianchi Cup. Years later our 9MM 1911 barrels were used to win the 98 and 99 NRA National Police Championships. With multiple NRA national records being set using our barrels, we were solidified as a leader in the barrel industry. In 1993 we were the first to develop slow twist rate Beretta 92 and revolver barrels for competition use, both of which were used to win national championships and set national records. During these years we were also offering gunsmithing services to competition shooters. Bill Jarvis’ gunsmithing work eventually earned him the 1995 Pistolsmith of the Year title awarded by the American Pistolsmiths Guild. 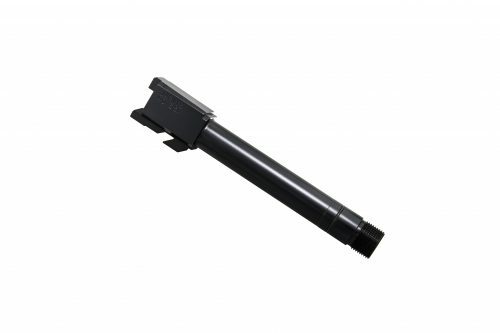 Being one of the earliest manufacturers of aftermarket barrels, we were the first to offer aftermarket barrels for the Glock, HK USP, and FN 5.7 pistols. Our manufacturing experience and knowledge of firearms has enabled us to perform R&D work for companies such as Colt and Gemtech, as well as barrel and parts manufacturing for the US Military. There are a lot of choices in aftermarket parts. At Jarvis, Inc. you will deal with people who make the barrel you purchase, people who have experience in manufacturing and firearms, people who know the product they sell. Every day we rely upon our knowledge and experience to craft the finest custom pistol barrels on the market. Our products speak for themselves, and our customer service is second to none. 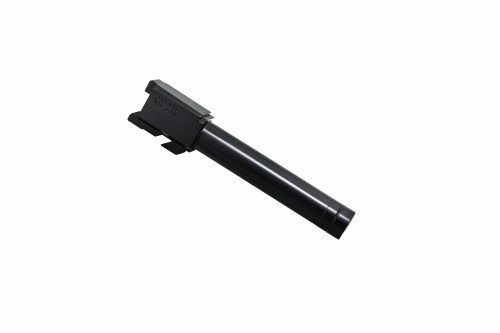 We offer a variety of barrels for 1911, Glock, HK, Walther, Beretta, FN, and Taurus pistols. With a variety of options available, most of our barrels can be customized to suit each shooters specific needs. Listed below are some of the available options. Standard Factory Length: Standard barrels will be the same length as your factory barrel. 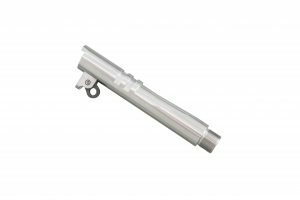 Our standard barrels are machined with an 11 degree target crown. Extended Length: Extended length barrels will be longer than your factory barrel and extend past the end of your slide. Almost all of our barrels can be ordered in extended lengths up to 6 inches. If you would like a custom length you may simply contact us and specify the length you desire. 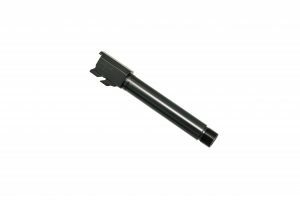 Ported: Ported barrels are generally extended ¾” past factory length. 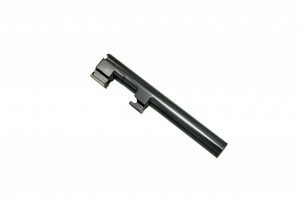 Match weight length barrels for HK pistols are extended to the end of the match weight. Porting can be done in two styles. The standard porting contains two ports, one at 11 o’clock and one at 1 o’clock. 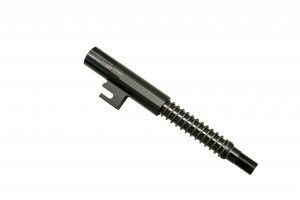 Match style porting which is done for the HK match weight length barrels contains 3 ports all at 12 o’clock on the top of the barrel. All porting is done by Mag-Na-Port. Threaded: All of our barrels are offered in a variety of thread sizes for suppressor and compensator attachment. 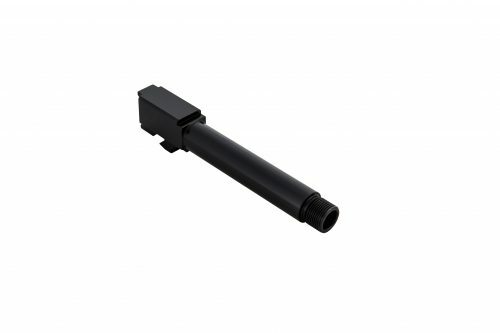 9MM barrels are available in ½-28, ½-32, ½-36, and 13.5×1 LH. 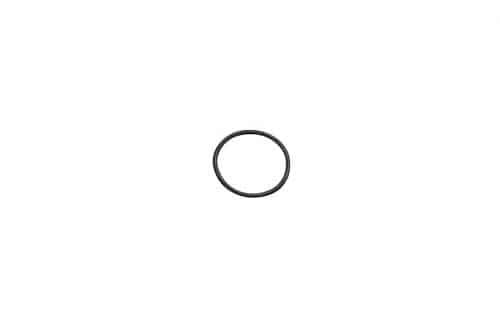 40 S&W and 10MM thread sizes include 9/16-24, 9/16-28, 14.5×1 LH, and .578-28. 45 ACP barrels are available in 9/16-24, 9/16-28, .578-28, 16×1 LH, and 16×1 RH. Many of our barrels can also be threaded .575-40 for compensator use. 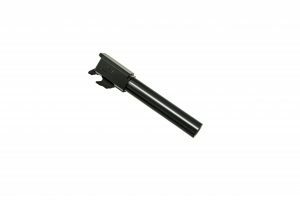 All of our barrels, with the exception of the FN 5.7, are available as drop-in or can be fitted to your gun. All barrels are machined custom to your order. With qualified and skilled machinists, gunsmiths, and engineers you can be sure that every barrel that leaves our shop is crafted to the highest standards and tested to ensure unparalleled performance. When accuracy counts, choose Jarvis, Inc.